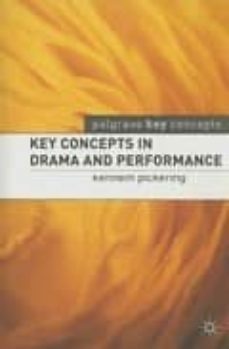 This book is intended for undergraduates taking courses in drama, theater or performing arts, providing an informative and accessible guide to the subject. It will help students understand their main textbooks and wider reading, will be a source of definitions for use in essays and other assignments, and will be especially useful as a revision aid. Each chapter begins with a brief introduction to the concepts it embraces, followed by an alphabetical listing of those concepts. Students are encouraged to use the frequent cross-referencing as a means of seeing their studies in a wider context and with an integrated approach. The book has a fully comprehensive index, allowing the reader to follow themes running through the entries.